If you are operating a store, a restaurant, or a club, lighted signs become necessary for driving the attention of passers-by in the street to your business. They are the best, most cost-effective method of advertising. They are also the most practical communication medium available to small businesses. Lighted signs are commonly used in a hustle-and-bustle marketplace. 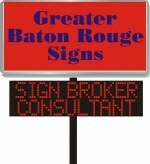 Greater Baton Rouge Signs has a lighted sign (also known as electric sign or digital sign) for every use and budget. 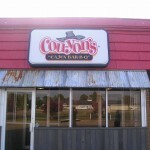 We supply all types of indoor and outdoor lighted signs to numerous commercial establishments. 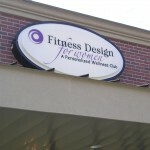 Our lighted signs are made of high-quality material and are sturdy enough to last for years. Your investment in our lighted sign boards will reap benefits for you for years to come. Signs help your customers to find you even in the busiest streets. People recognize your establishment through your lighted sign board. 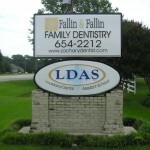 If they had visited you before, your fancy lighted sign board would be registered in their memory, and if they are looking for you after a substantial time-gap, then perhaps your lighted sign could guide them. People may refer to your lighted sign board during conversation, and thus the popularity of your business may start to grow. An appealing lighted sign board can target potential customers who tend to buy from another particular market. 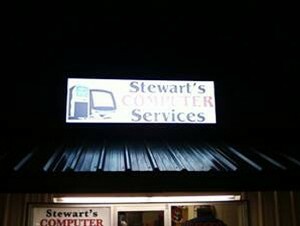 At Greater Baton Rouge Signs, you can be confident that messages put in our lighted signs will reach the most possible potential customers. Our well-educated and experienced sales staff will guide you through selecting the most suitable and appropriate lighted sign board. Our well-trained technical staff will be available for after-sales service and will promptly attend to your call and take action immediately.